Electoral politics has been — and will always be — a numbers game. As Daily Beast reporter Olivia Nuzzi noted wryly on Twitter last week, “*becomes journalist because I can’t do math* *election requires me to do math constantly*” Nowhere has the math been more apparent than in the wealth of numbers coming from states regarding early voting turnout. Across the country, early voting appears to be up, though it is unclear how good a predictor this is of the final results. Still, there are some surprising — and significant — revelations from the early vote data, and one of the earliest is that the American electorate might be changing faster than we think it is. CNN’s Jim Sciutto pointed out in a tweet Monday that Florida’s early vote totals surpassed the total number of ballots cast in the state’s contested 2000 election — and not by a small margin. 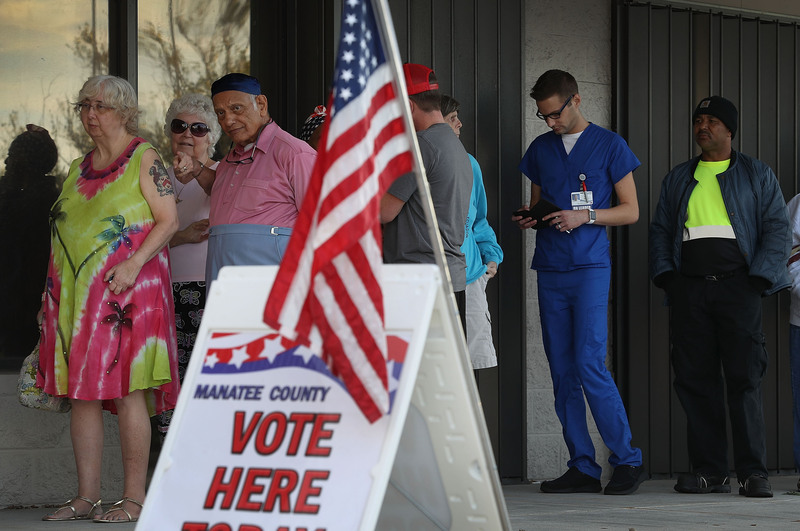 According to Sciutto, in 2000, 5,861,223 votes were cast for president; as of the end of early voting in Florida on Saturday, 6,424,595 votes were cast. To put that into context: Even before Election Day, at least half a million more people in Florida have already voted than did in 2000 altogether. Compared to 2012, the 2016 early vote accounts for over 75 percent of the 2012 total. Long story short: This election is big. Of course, there’s plenty to still play out between now and when the polls close Tuesday night, and not all of the early voting numbers have told a tale of a surging vote. One of the most troubling stories to emerge so far involves the early vote in North Carolina, where dramatic reductions in early vote locations may have led to decreased turnout among African Americans. Not that Republicans didn't already know that Latino voters could make or break the party in elections, or that they needed to do more to ensure voter turnout. The Republican National Committee’s 2013 “autopsy” of the 2012 election found that “our ground game was insufficient” and “we weren't inclusive...” It specifically called for doing better outreach to minority groups, including Latino voters. It seems that the 2016 election will prove that without glue of Clinton hate, the Republicans don’t have much of a party, at least not one that's useful for the current electorate.